Description: Before Martin Luther King Jr. began to preach from his pulpit in Montgomery Alabama or the landmark decision of Brown v Board of Education decision or Rosa Parks’ famous bus ride – a man named Harry T. Moore toiled in Jim Crow Florida on behalf of the NAACP and the Progressive Voter’s League. For seventeen years, in an era of official indifference and outright hostility, the soft spoken but resolute Moore traveled the back roads if the state in a mission to educate, evangelize, and organize. But; on Christmas night of 1951 in a small orange grove in tiny Mims, Florida, a bomb placed under their bed mortally wounded both Harry and Harriette his wife. He died on the way to the hospital and his wife died nine days later. His shocking book helps us to reclaim the past, as far as we are capable of knowing it., even when complete and final justice eludes us for their assassination. Description: Obi: Seminole Maroon is a fictionalized account of the daring escape of a 15 year old enslaved young man and his friends from a cotton plantation in South Carolina who find refuge among the Seminoles of Florida. The story follows Obi’s meeting with the mysterious African Quashee, his transformation from slave to freedom seeker and his escape to Florida. Through the “learnings” provided by Quashee, Obi develops the traits essential for his becoming a Maroon leader, establishing a Maroon village, his fighting in the Gullah Wars of Independence, going to Indian Territory out West, and his subsequent escape to Mexico. The John Gilmore Riley Center received an inaugural year IMLS (Institute of Museum and Library Services ) grant on September 20, 2006 to coordinate the “Florida African-American Museum Exchange” (FAME) project, an initiative designed to build the institutional capacity and sustainability of African-American Museums throughout the State of Florida. Ten Museum Directors , strategically selected to represent the geographic Regions within the State of Florida, will be the core target participants. Funding will support a series of intensive training sessions on topics including museum management, strategic planning, , revenue building, preservation, and exhibit presentations. Following the training, the ten Directors will identify and mentor Directors of other African-American Museums in their areas, sharing new skills and knowledge. The FAME project is intended to build a stronger and more effective network of African-American Museums throughout the State of Florida. “The Institute of Museums and Library Services is an independent Federal agency that grows and sustains a “Nation of Learners” because lifelong learning is critical to success”. The Institute of Museum and Library Services, through a grant to the Riley Center/Museum, is helping network Directors like the Harrells, Black Heritage Museum in New Smyrna Beach, Florida to catalog their collections. 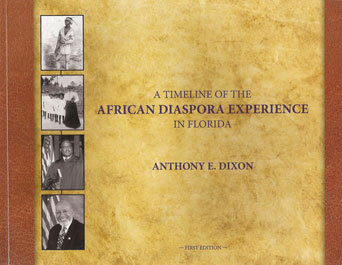 The Florida Department of State, Division of Historical Resources chose the FAAHPN and the Riley Center/Museum to conduct research for a 2005 edition of the Florida Black Heritage Trail. In 2007, VISIT Florida commissioned FAAHPN to provide research for this updated edition, which was unveiled at the annual network conference in St. Petersburg, Florida. It is a comprehensive listing of African American historic sites throughout the state, complete with color photographs and informative vignettes on the people and places that have contributed to Florida’s past and future.